Could be labeled Tripod MG34 too, so what? Is there a "Bipod MG34"? Last edited by Tank! ; 03-11-2011, 09:36 PM. There is the MG34 and the Tripod MG34, just to differentiate the fixed one from the mobile one. Stop playing dumb. 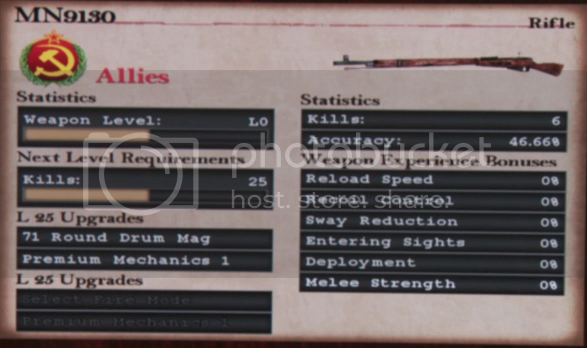 What I am trying to say is that there is nothing by the name of Bipod MG34 in the menu so why is there a Tripod MG34? Just name both MG34. If you insist on differentiating call one MG34 Laffette. Laffette would be better, i agree with you. I think it is differentiable, the tripod one will have less recoil (i hope so) , so it will be easier to do sustained and accurate firing. You can't call it MG34 Lafette either. It should be MG 34 not MG34 and absolutely not MG-34. If you say MG 34 Lafette, Germans would think you are talking about the mount or tripod itself, without the gun. MG 34 auf Lafette is probably better. No idea what the official term is though, can't be arsed to look it up right now. Oh please, are we really discussing this? Specially, since this is not supposed to be a discussion thread. 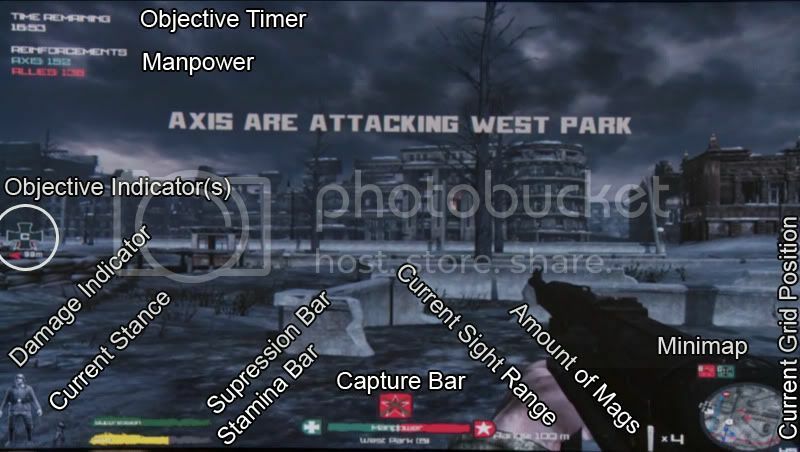 Made a new improved Hud/Tactical View explaination. Last edited by Ralfst3r; 03-12-2011, 09:20 PM. No idea what the official term is though, can't be arsed to look it up right now. Last edited by The Masta; 03-12-2011, 09:54 AM. Weapon experience bonuses? Premium Mechanics? I hope that's not persistent, or that they don't affect gameplay too much. After watching these videos, my thoughts about player movement is littlebit skeptical. Looks odd somehow to me. When it demonstrated the "slow death", the russian guy fell so quicly. Also (imo) the running looks weird. On the first part 3:07 is good example, also when that guy carries his mg.. Sprinting also looks weird. On the other hand, this game will bring seriously needed fixes. Also looks amazing! In my mind BF2 has the best animation for running/sprinting. Btw, would it be nice when you get the "slow death", that you fall on the ground, but you can look around but not shoot. This would maybe bring something to clan wars. I think people need to realise they are watching an alpha stage game not beta. The vids seem to be showing the features and systems the game employs rather than eye-candy.. They are about the gameplay and what you can do, rather than about what the game will look like in its final released state. I'm on a vodka diet, I've lost 3 days so far. The latter - the effects will be small and subtle!